The 1502A Hart Scientific Tweener features accuracy up to ±0.006 °C (the 1504 is even more accurate, up to ±0.002 °C). In addition, it reads 100-ohm, 25-ohm, and 10-ohm probes, has a resolution of 0.001 °C across its entire range, and is the smallest unit in its class. It also has an optional battery pack for completely portable operation. Each Tweener is programmable to match a probe's constants for maximum linearity and accuracy. All probe constants and coefficients are programmed through simple, front-panel keystrokes. Temperature is displayed in °C, °F, K, or resistance in ohms. 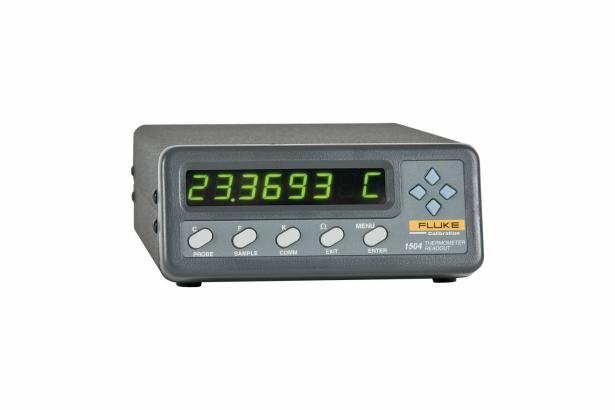 The 1502A accurately measures the resistance of the probe and then converts the resistance to a temperature value using its built-in algorithms. For convenience, the 1502A reads the common industrial grade IEC-751 or "385 ALPHA RTD without any programming. Enter the actual R0 and ALPHA of the individual probe for increased accuracy. For maximum accuracy, use the ITS-90 formulas. The Tweener accepts the subranges 4 and 6 through 11. ITS-90 formulas reside in the Tweener's firmware. If your probe has been calibrated for any of the above subranges of the ITS-90, you simply enter the coefficients directly into your Tweener. Each thermometer comes complete with an RS-232 interface for automation of temperature data collection, calibrations, or process control functions. An IEEE-488 interface is available as an option. The 1502A is calibrated digitally using the front-panel buttons. You never have to open the box to calibrate it. This calibration protocol further reduces the cost of the 1502A. It goes where you go and works the way you want it to. With our 9934 LogWare, both Tweener models may be used for real-time data acquisition. Collect data and analyze it graphically or statistically. Additionally, Tweeners may be used as reference thermometers with our MET/TEMP II software. Want to take your Tweener on the road? Order Fluke Calibration's 9320A Battery Pack. Our battery gives you 36 hours between charges, allowing you to take your work wherever you need. 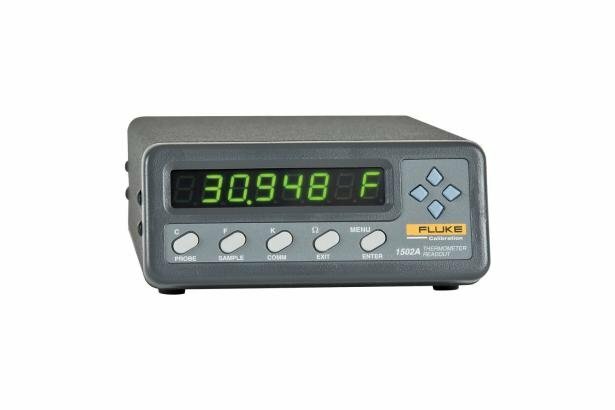 One of Fluke Calibration’s best-selling products is the Tweener thermometer, and there’s a reason. No other company, not one, has a reference thermometer that comes close to the performance and features of the Tweener for anywhere near its price. 1. Temperature ranges and accuracy may be limited by the sensor you use.